Fourth Squad detectives report the arrest of a boyfriend and girlfriend from Far Rockaway for an incident that occurred on Saturday, October 31, 2015 at 3:00 pm in Inwood. Inwood, NY - November 1, 2015 - Fourth Squad detectives report the arrest of a boyfriend and girlfriend from Far Rockaway for an incident that occurred on Saturday, October 31, 2015 at 3:00 pm in Inwood. According to detectives, while out “Trick or Treating” with the defendants 10 year old brother and a 9 year old daughter of a family friend, Daquan Rose, 26, and Samone Sturgis, 23, entered the Burnside Deli, 267 Burnside Avenue. An argument arose with the stores clerk over what was given for a Halloween treat and both defendants were asked to leave the store. Sturgis became angry and began stealing packages of cookies from the counter area. When the clerk attempted to prevent her from removing them, both defendants began punching the employee in the face and then left the store. After following the defendants into the parking lot, Rose picked up a piece of wood and threatened to beat him with it. Both defendants, along with the two children, then fled the scene. The clerk, who suffered a contusion and swelling to his eye, then called 911. Upon police arrival and after a search for the defendants, both were located a short distance away at Pearl Street and Rockaway Turnpike where they were placed under arrest without further incident. Rose and Sturgis are both charged with Robbery 1st Degree and two (2) counts of Endangering the Welfare of a Child. They will be arraigned in First District Court, Hempstead on 11/01/2015. The juveniles, who were brought to the precinct, were released to an adult family friend. 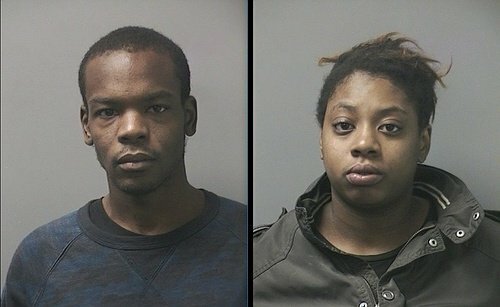 Subject: LongIsland.com - Your Name sent you Article details of "NCPD Arrest Man & Woman For Beating Deli Clerk, Robbery After Argument Over Halloween Treat"